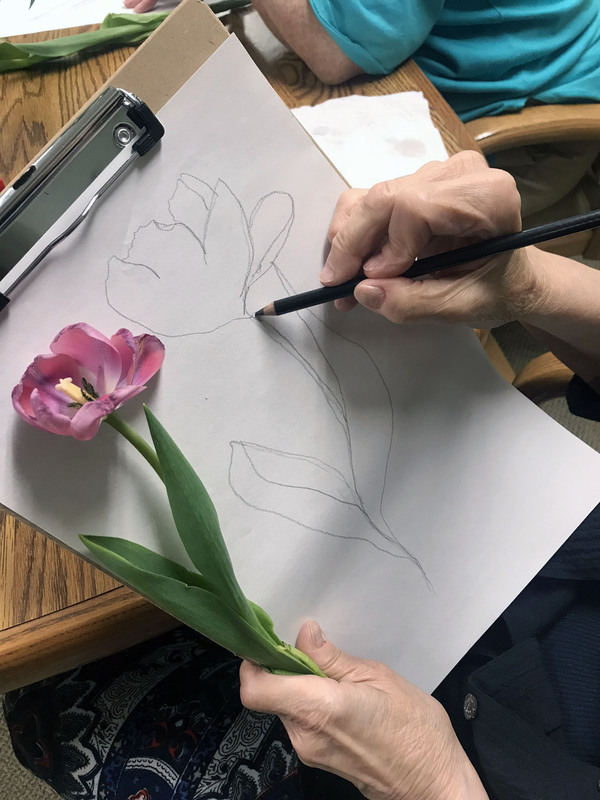 After an introduction to basic drawing skills, this drawing experience identifies unique interests and opportunities for participants at both Basset Creek and Norwood Square CommonBond communities. This course is a class designed for those who have drawn in the past or have participated in original Crossing the Line course though we are happy to admit new drawers. This course cements the new artists’ practice, continuing skill development and developing a deeper perception of the everyday and unique personal expression in the work. New techniques and materials are added to old; ink and wash, pen and ink, color drawing and more. Each session provides instruction based interactive presentations set within an historical context, guided teaching from demonstration to application and time for personal and group reflection and critique. Since drawing skills require practice to develop, drawing exercises will be provided weekly to support the development of each artist’s skills. The course will culminate in a traditional exhibition, artist talk and reception and for those who wish participate. Classes run from 2:00-4:00 at each site for 8 weeks and open to participants from the neighborhood. We want to thank the following organizations for their support: Aroha Seeding Vitality Grant, CommonBond Housing, EngAge Heartland.